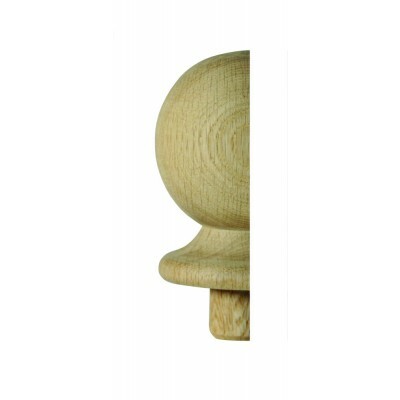 Trademark ball design half newel cap made from quality white oak. Ideal for use with the Richard Burbidge taper range. Designed to fit into a pre-drilled 90mm half newel.